I find many of the photos that we use in “the art of transit” on Flickr, which is both easy to search and has a multitude of groups dedicated to transportation. 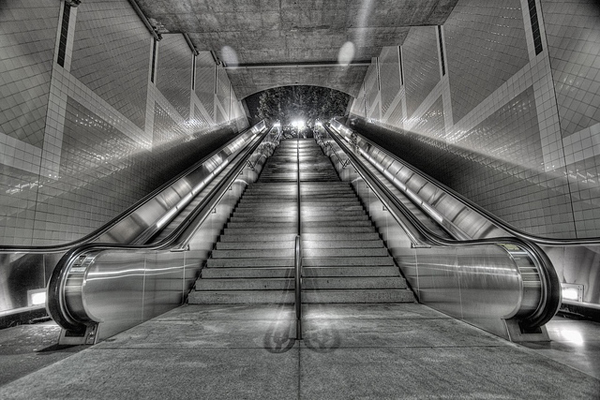 In those groups, a lot of photographers try to capture images of stairwells and escalators at transit stations. Some of those photos — such as the above of the Red/Purple Line’s Civic Center station — are very good. Others, well, not so much. In the case of this photo, Jon used the high-dynamic range method (known as “HDR”), which through processing helps better capture all the different light and dark areas of a photo.